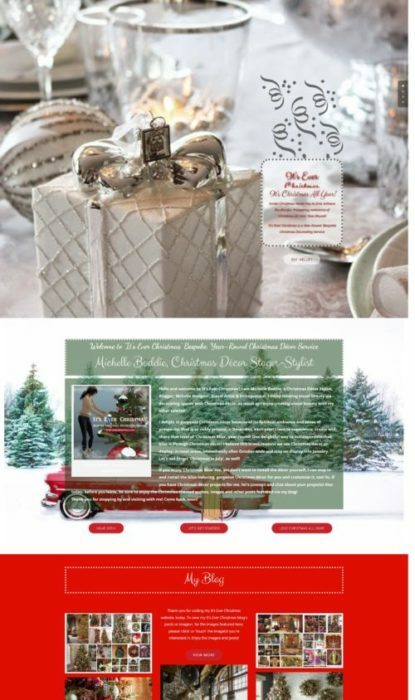 Christmas Decor: Gorgeous & Shimmery Silver-Platinum Fireplace | Christmas All Year ~ It's Ever Christmas! This is an EXQUISITE fireplace scene! 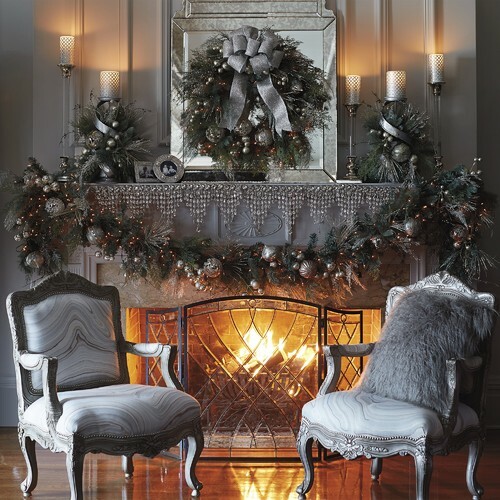 The luxe ornaments, ribbon, candle-stands, mirror, sconces, picture frames, fire-screen and chairs in this silver-platinum & pewter color-scheme together make this sitting area so luxurious and welcoming! The decor is balanced rather than overdone! I would enjoy sitting, here, beside the fire with a book and magazines to read, while sipping tea or hot cocoa, and enjoying a few gluten-free chocolate chip cookies! Furthermore, I think my guests would enjoy sitting here amid this exquisite, blissful ambiance. This entry was posted in Christmas Decor, Fireplace Mantles, Garlands, Michelle's Top Favorites, Wreaths and tagged Christmas, Christmas candles, Christmas dogs, Christmas ornaments, Cristes Maesse, Cristes-messe, Dies Natalis, glowing fireplace ambiance, Kerst-misse, the Mass of Christ, Weihnachtsfest. Bookmark the permalink.